In 1976, a study showed that the offspring of mice that were exposed to low-frequency EMR (electromagnetic radiation) from power lines were born stunted. Several researchers have shown connections between over-exposure to EMR and cancer. For example, in 1982, it was noted by a researcher that there were more leukemia-related deaths in men who worked close to electrical and magnetic fields. A 1987 study found that rats which were exposed to EMFs for a month found it harder to learn a new task than the control group. The rats’ offspring that were exposed to EMR in the womb and for nine days after birth developed permanent learning diabilities. Also, anecdotal evidence shows that sensitive people can suffer from fatigue, headaches, insomnia, weakened immune system, depression, and many other symptoms when they are exposed to EMFs. Wear an orgonite pendant to protect you at all times. Attach a small piece of orgonite to your mobile phone (check out this seed experiment to see how orgonite provides EMF protection from mobile phones). Put orgonite near any other electrical objects – e.g. the TV and the clock radio. Gift mobile phone towers in your vicinity. Gifting is a huge part of orgonite culture, and it’s a fantastic way to make a difference to the world around you. How does orgonite work against EMFs? Orgonite does its work on the etheric level rather than the electromagnetic level. Rather than reducing radiation, it is proposed that orgonite works because chaotic, imbalanced orgone energy is a by-product of EMFs. 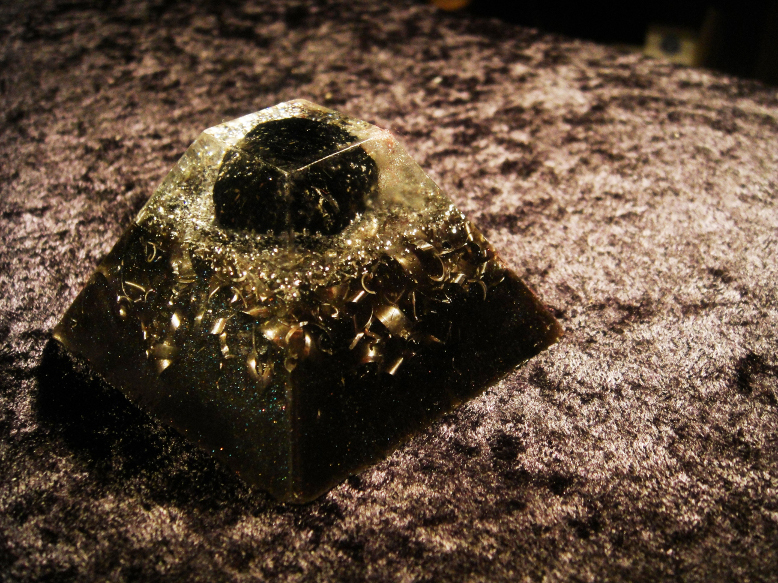 Orgonite does not clean up EMFs per se, rather it cleans up the disorganised, deadly orgone energy produced by it. People who are sensitive to EMFs have been helped greatly by orgonite. For example, disturbed sleep and insomnia are one of the most common symptoms of low-level sensitivity to EMFs. One of the most widely reported beneficial effects of orgonite is that it helps people sleep better, especially those who have problems with insomnia (although if you’ve been introduced to orgonite for the first time, the influx of positive orgone may energise you and make it more difficult to sleep to begin with! In that case, let your body get used to it slowly – don’t wear pendants while sleeping, or keep orgonite in the bedroom until you’ve become used to the energy. In the long run, you will sleep sounder).